Deuteronomy 29:29 The secret things belong to יהוה, but those things which are revealed belong to us and to 0ur children forever. Proverbs 25:2 It is the glory of יהוה to conceal a thing but the honor of kings is to search out a matter. Yeshua the just one, James the just, the saints are supposed to the just! Just = Tzadik. If you’re disheartened in the faith, your’e not alone and you find yourself in good company! But like these blokes, it’s all going to change! Luke 24:13 The Road to Emmaus. ……..What are you talking about? ……..Why are you so sad? …….Are you the only one who doesn’t know what things happened in Jerusalem theses past days? 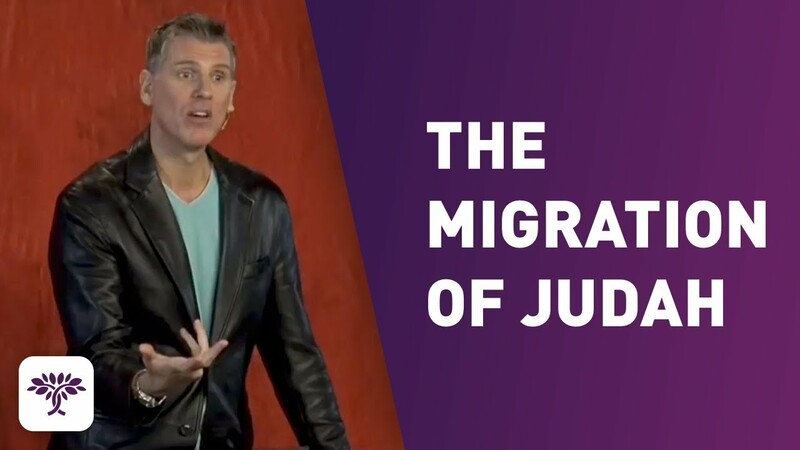 …….We were hoping that He was going to redeem Israel…..
We must believe all that the prophets have spoken and we must begin with understanding the teachings of Moses and then the Prophets to truly embrace Yeshua! 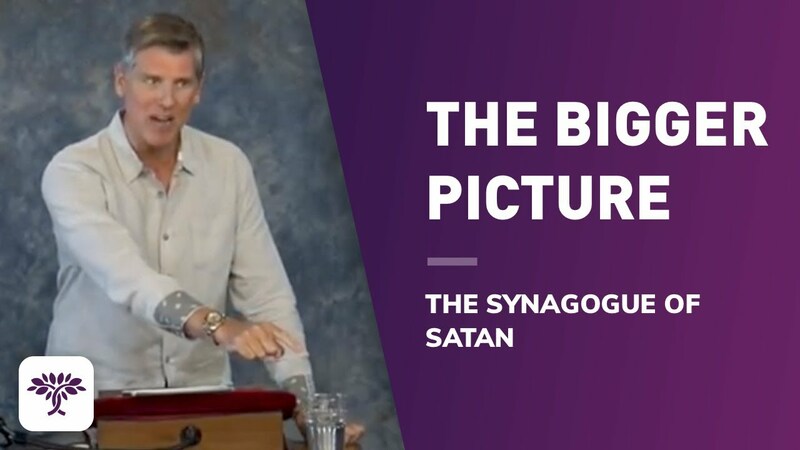 It’s a God given mandate for us and the NIV and Sunday sermons are NOT going to lead us into the intimate relationship that our Savior demands. Matthew 6:33 Seek first the Malkhut יהוה and his Tzadikah! Romans 10:2 they have a zeal for vuvh, but not according to knowledge. 3 For they being ignorant of vuvh’s tzadikah, go about to establish their own tzakikah, 12 have not submitted themselves to the tzadikah of vuvh. 4 For Moshiach is the actual goal of the Torah for an eternal tzadik standing to everyone that believes. Our faith is supposed to be a deep work, enabling us to bring inner healing, the alone time where the word transforms…YHWH’s word will lead you into the Melchizedek – heal and cleanse your families and your past sins. Revelation 2: You are Kingdom of Priests right….? Demonstrate how Yeshua is the long awaited Melchizedek – and his people today aren’t supposed to join a denomination but actually are to join a priesthood and function on a higher plane than the religious denominations of men which leave you dry and hungry for His word. GRACE! : Noach, (we’ll come to understand his relationship to the malki-tzedik in a moment) Noach found grace in the sight of יהוה. Chen, Hesed, appears 3X more in the OT than the NT. Grace didn’t start at Pentecost/Shavuot… grace isn’t a license to live in sin and not obey YHWH’s law! Grace is the empowerment to live a holy and righteous life in a sick and twisted world. The Western Christian Church isn’t under YHWH’s grace…..they’re under His mercy… the withholding of deserved judgment! If they were under His grace they wouldn’t be violating the law.. because grace empowers you to keep the law and live a holy, just, righteous life. Grace is what empowers you to keep the commandments it doesn’t allow you to live a lawless life of Church tradition. Grace is what convicts us to continue on to our higher calling! The Melchizedek covenant calling! Stop mistaking YHWH’s mecry-the witholding of just judgment whilst your on the teet … for Grace… the empowerment to keep the commandments, which is the diet of meat! (Heb 5:13). If Yeshua is the Malki-tzedik, where did the Malki-tzedik come from, how was it established and where do we see Yeshua using its authority? Melchizedek received a tenth of the spoils of Abram’s victory against Chedorlaomer. until I make Your enemies Your footstool. 2 vuvh shall send the rod, scepter of Your strength out of Tzion: rule in the midst of Your enemies. 3 Your people shall be willing in the day of Your power, in the splendors of set-apartness from the womb of the morning: You have the dew of your youth.4 vuvh has sworn, and will not lie 9 so as to repent, You are a Kohen le-olam-va-ed 10 after and in the order of Melchizedek. 5 YHWH at Your Right Hand(Masoretic edit has the Lord/Adon. V.5 qualifies V.1. So V.5 instructs us that YHWH sits at YHWH’s right hand) shall shatter kings in the day of His anger. 6 He shall judge among the nations, He shall fill the places with the dead bodies; He shall wound the leaders over many countries. 7 He shall drink of the brook in its derech: therefore shall He lift up the head. taxin from Luke chapter 1: Luke 1:5-9 Zacharias, of the division of Abijah; and he had a wife from the daughters of Aaron, and her name was Elizabeth. They were both Tzadik-righteous in the sight of Eloah, walking blamelessly in all the commandments and requirements of the YHWH. Zacharias was performing his priestly service before Eloah in the appointed order of his division. דברה When the writer of Hebrews quotes Psalm 110:4 “order” is the Hebrew word dibrah The word is only used 4 times in the Tanakh and literally means to “put in order” [through speaking] “sequence” or an “ordering. We should be able to find some reference to others of this priesthood in Scripture… either those before or those after Melchizedek! Where else in the Bible do we find a reference to a person whose king is righteous? A “malchi tzedek”! How could Noah be the eighth? Part of the Malki – Tzedik mystery is that, while Noah isn’t the eighth generation of mankind, Noah is the eighth in a line of succession beginning with Adam: Preachers of Righteousness – Noach is the eighth Melchizedek! Adam lived for 930 years from Creation until his death. When Adam died, Seth was next in line of succession. When Seth died Enosh took over. When Enosh died Kenan took his place. When Kenan died Mahalalel filled his role. When Mahalalel died Jared took that role. When Jared died Methuselah took his place because Enoch had been “taken” (Genesis 5:24) and was therefore skipped in the line of succession. When Methuselah died Noah took the role because Lamech had already died. Noah, a “preacher of righteousness, a preacher of the Malki-Tzedik”, was eighth in line of succession (2 Peter 2:5) from Adam. If Noah, as the “preacher of righteousness” from his generation then who was in the sequence Melchizedek-ian priests who was serving in this priesthood when Avraham rescued Lot and then gave a tenth? Noah was the eighth and when he died then his son Shem would have been next in line. Shem would have been “Melchizedek” in the days of Avraham. (Jasher (mentioned 3 times in Scripture and other historic sources suggest this). Now skipping forward just a bit because now that I mentioned Shem as the 9th Malki Tzedik people are going to want to clarity on Heb 7:3 which says that Malki Tzedik was without genealogy. Remember though, a text out of context……..
Hebrews is juxtaposing the Levitical order with the Melchizedek order so when Hebrews 7:3 says that the Melchizedek is without father, without mother, without genealogy, having neither beginning of days or end of life. 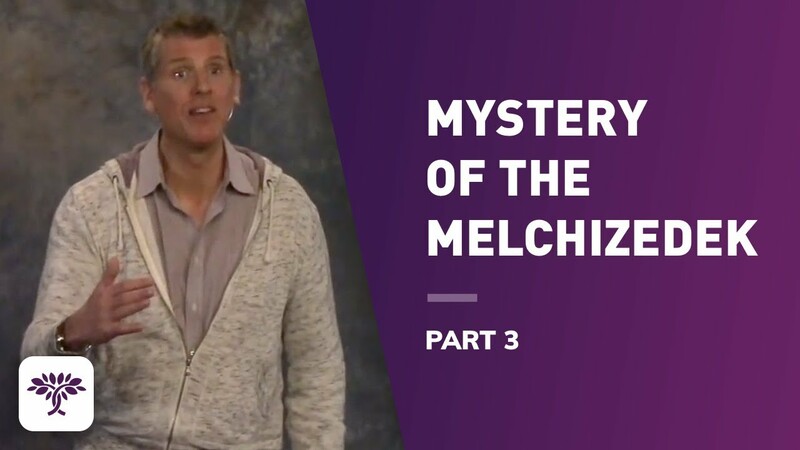 It’s talking about the Melchizedek’s are not listed in the Levitical genealogies! was a priest in the order of Levi. Neither Shem, nor Yeshua has beginning of days, nor end of a priestly Levitical life, since neither was ordained to begin, or end with in that Levitical service. Yet, both do have genealogies listed in Scripture. Shem like Yeshua served in the eternal order and positionally he prefigured Yeshua, who serves in that same eternal order that can never pass away. The book of Hebrews does not say Shem is immortal. Rather that he lives continually as do all the righteous in redemption, Hebrews 11 goes into much detail on this. Shem was the ninth in the line of succession of this eternal Malki-Tzedik order, so that it is said that he lives forever in spirit, as his reward for being a partaker of it’s covenants of promise (Eph 2) of which we’ll learn much more on later! If you decide to enter into this priesthood then you too will live continually with all the tzadiks that have gone before! Meaning: salvation only comes by covenant and covenant here is ratified by blood and the Malki Tzediks blood is what enables you to enter into the priesthood covenant! You’re not saved because you sing songs to Jesus and belong to a denomination! Do something with your faith serve the master in His priesthood! Get out of the pew, get out of the world and get serious because the time is short no matter what Tim Layehe is telling you! Let’s get back to our narrative in Gen.
Genesis 14:18 And Melchizedek king of Salem brought out bread and wine; now he was a priest of God Most High. He blessed him and said, “Blessed be Abram of God Most High, Possessor of heaven and earth; And blessed be God Most High, Who has delivered your enemies into your hand.” He gave him a tenth of all. 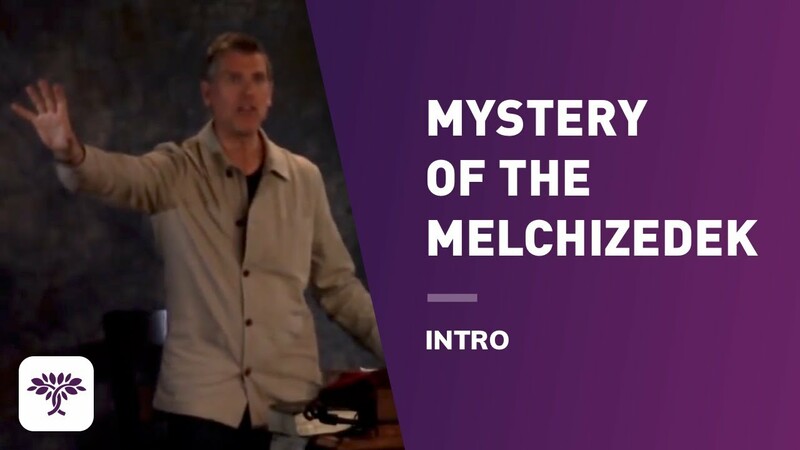 This reveals the truth about Messiah Yeshua – the Malki -Tzedik who comes to bring peace to a family feud after a great war between kingdoms and nations. Psalm 2:1(a Malki-Tzedik psalm quoted in Hebrews 1 & 5 explains what was happening with the kings of earth in Beresheeth 14 took counsel against YHWH and Malki-Tzedik) Why do the nations rage, and the people imagine a vain thing? the shamayim shall laugh: vuvh shall have them in derision. (4 kings against 5) 5 Then shall He speak to them in His anger, and trouble them in His heavy displeasure. 6 Yet have I set My Melech upon My kadosh Har Tzion. I will declare the decree: vuvh has said to Me, You are My Son; 6 this day have I brought You forth. 8 Ask of Me, and I shall give You the nations for Your inheritance, and the farthest parts of the earth for Your possession. (because Avram made shalom with the Malki’Tzedik in the very next verses we see Avram given the promise of Kingship, land and Malki -zera line) 9 You shall break them with a rod of iron; You shall dash them in pieces like a potter’s vessel. The war between the seed of Avraham: sons of Yitzak and son’s Ishmael because Yitzak received the Malki-Tzedik over Ismael! Shem died then Eber would have been next in line. After Eber would have been Yitz’chak. After Yitz’chak would have been Ya’akov… and so on. We find that this line likely went from Ya’akov through Levi because death reigned from Adam to Moshe……yet later we find Sh’lomo describing himself as “the preacher”. Preacher of what? he was the “preacher of righteousness” in his generation and the priest who wanted to return to the the order of Melchizedek… he was tired of the corrupt order of Levi! The writer of the book of Hebrews tells us that we can now enter the Malki-Tzedik realm through Yeshua by: offering up both prayers and supplications with loud crying and tears to the One able to save Him from death, and He was heard because of His piety. Although He was a Son, He learned obedience. PRAY, ENTER A LIFE OF SUPPLICATION, CRYING AND TEARS WITH PIOUS OBEDIENCE. At the excavation of Qumran, where there are at least ten micva pools, this was a community that was formed around the importance of immersion, The Malki-tzedik. DSS – found in 1947 by a Bedouin herdsman in a cave. MSS 11Q13 – The Coming Of Malki-Tzedik. To the Qumran sect, the zadokites, Malki-Tzedik was an ever-present hope and imminent reality, how about to us? The Zadokites believed Malki-Tzedik and Moshiach were interconnected. There expectation was for Malki-Tzedik to appear, he was to them an exalted, divine being. So much so that in modern Mss where you find יהוה, you would find in the DSS Malki- Tzedik: Yeshayahu 61:2 to proclaim the acceptable year of Malki-Tzedik (YHWH), and the day of vengeance of our Elohim; to comfort all that mourn. Note: in the reign of Melech David the Zadokites suddenly appear as priests, they were from the Melki-Tzadok line! But with no covenant to attach their righteous priesthood to! Tzedik and Tzadok are linguistically connected with the same 3 letter root:Tzade, Dalet,Kuf. We know that later Josiah removed all traces of any non Levitical rites out of the Temple and whats even more interesting is in the Qumran community it is known that the sons of Zadok resided awaiting the return of Malki-Tzedik. Son’s of righteousness are to be inwardly and outwardly faithful to the King! The Zadokite sect in Qumran at the time of Yeshua believed that the Malki-Tzedik- anointed one, connecting to Messiah was expected to come and deliver a divine communication and then he would have to die, be cut off as it is written in Dan 9:26. Found in 1952 in cave 3. A man by the name of John Allegro oversaw the cutting of the copper sheets into 23 strips in 1955 and 1956; Allegro transcribed their contents immediately. He discovered that the zadokites were in fact the matrix of Christianity. He suggested that there were so many correspondences between the scroll texts and the New Testament — words and phrases, beliefs and practices, even Messianic leadership, a teacher of righteousness (Tzadik) who was persecuted and possibly crucified and resurrected. Prophets have to have a divine message. Priests have to have an altar and a sacrifice. Kingdoms have to have a King. Lets see how Yeshua fulfilled all these roles in perfect sequencing to be able to provide our redemption! and see if you believe that the Priesthood is open and available to the circumcised of heart today! Matt 1 and 2 establish what? That Yeshua is King – Malki. The mantle of priesthood is always handed down thru Micva. The Jordan River is a geographic point of change….remember principalities study your geneology and operate geographically. Born King of the Jews: Matt 2:2 Saying, Where is He that is born Melech of the Yahudim? For we have seen His cochav in the east, and have come to worship Him. Yeshua must fulfill all righteousness through a legal High Priest, John The Baptist. Yochanan, to be immersed by him.14 But Yochanan forbad Him, saying, I have need to be immersed by You, and You come to me? 15 And gauvh answering said to him, Allow it to be so now: for this will allow us to fulfill all tzedakah. Then he allowed Him. So Yeshua is immersed a King, but raised out of the water as what? A King of Righteousness – a king who fulfills all righteousness is a….. Malki-Tzedik! The Transference. arise after the order of Malki-Tzedek, and not be called after the order of Aharon? 12 For the priesthood being (Gk:changed – transferred), there is made of necessity a (Gk:change- transference) also in the Torah. Matthew 3:13 is where this transference of Levitical to Malki-Tzedik occurred, between the two kinsmen, John The Baptist and Yeshua. The mantle of priesthood handed down through Mikva! The Jordan river the point of change! But if Yeshua is now the legitimate High Priest what about the Levitical High Priest operating up in Jerusalem? Leviticus 5:1 And if a being sins, and hears the voice of swearing, and is a witness, whether he has seen, or known of it; if he does not reveal it, then he shall bear his iniquity. If someone swears this oath and you hear them, are a witness of it and know truth but don’t reveal it then you’re in sin and will bear the iniquity. Leviticus 10:6 And Moshe said to Aharon, and to El-Azar and to Ithamar, his sons, Uncover not your heads, 2 neither tear your clothes; lest you die. You rip your priestly garments and you annul your position, you’re disqualified and you’ll die. YHWH has a provision: Exodus 28:32 And there shall be a hole in the top of it (the priestly garment) in the midst of it: it shall have a binding of woven work all around the hole of it, as it were the hole of strong armor that it be not torn. Matthew 26:57 And they that had laid hold on gauvh led Him away to Qayapha the Kohen HaGadol, where the Sophrim and the zechanim were assembled. 58 But Kepha followed Him from far off to the Kohen HaGadol’s palace, and went in, and sat with the avadim, to see the result. 59 Now the main Kohanim, and zechanim, and all the Sanhedrin, sought false witness against gauvh, to put Him to death; 60 But found none: yes, though many false witnesses came, yet they found none. At the end came two false witnesses, 61 And said, This Fellow said, I am able to destroy the Beit HaMikdash of tvkt, and to build it in three days. 62 And the Kohen HaGadol stood, and said to Him, Don’t You respond? What is all this that these witness against You? 63 But gauvh kept His silence. And the Kohen HaGadol answered and said to Him, I put You under oath before the living tvkt, that You tell us whether You are The Moshiach, the Son of the Almighty. (Caiaphas invoked the first law of the trespass offering-Lev 5:1- Yeshua had to answer him or He would have been in sin, a sinner, defiled and disqualified to represent us) 64 gauvh said to him, You have said it: nevertheless I say to you,(Yeshua had to say, not Caiaphas!) After this you shall see the Ben Adam sitting as the right hand of vuvh, and coming in the clouds of the shamayim. 65 Then the Kohen HaGadol tore his clothes, saying, He has spoken blasphemy(He should die-Lev 10:6- Oh, Oh – he just nullified his priesthood! Who’s going to officiate over the morning sacrifice, who’s going to officiate over the Passover sacrifice? The Malki Himself! ); what further need do we have for witnesses? See, now you have heard His blasphemy. 66 What do you think? They answered and said, He is guilty of death. 67 Then they did spit in His face, and beat Him; and others slapped Him with the palms of their hands, 68 Saying, Prophesy to us, Oh You Moshiach, Who is he that smote You? The oath of the trespass offering! (next week we’ll discover the matrix of Malkli with the oath of Gen 12.) The ultimate test of qualification for the priesthood. Ivrim 7:28 For the Torah makes men Kohanim Gedolim, who have human weakness; but the word of the oath, which was after the Torah, appointed the Son, who has been perfected le-olam-va-ed. Remember when the writer of Hebrews quoted Psalm 110:4 “order” is דברה dibrah and literally means to “put in order” through speaking, speaking an oath! John 19:23 Then the soldiers, when they had impaled Yeshua, took His garments, and made four parts, 6 to every soldier a part; and also His coat: now the coat was without seam, woven from the top throughout. 24 They said therefore among themselves, Let us not tear it, but cast lots for it, to see whose it should be: that the Katuv might be fulfilled, which said, They parted My clothes among them, and for My robe they did cast lots. These things therefore the soldiers did. “Let us not tear it”, because it’s the High Priests tunic and it can’t be torn otherwise Yeshua’s priesthood is nullified and He hasn’t sat down yet! 13 Waiting from then on until all His enemies are made His footstool. Quoting the one and only Malki-Tzedik text in the entire Old Testament apart from Genesis 14. The High Priest can only sit down once the sacrifice is fully consumed. As High Priest he has to stand until the sacrifice is completed. Yeshua can’t sit down until ‘it is finished.’ Luke 7:28 For I say to you, Among those that are born of women there is not a greater navi than Yochanan ha Matbeel: but he that is least in the malchut of vuvh is greater than him. He who is least in the kingdom of Malki-Tzedik is greater than he who is greatest of Levitical! Wow! It’s about the transference of priesthood and walking in its prophetic and apostolic authority! The least of Malki-Tzedik is greater than a prophet from Levi! Why aren’t we moving in this YHWH given, divinely given Malki-Tzedik authority in our assemblies? Ministry comes from resurrection and resurrection comes from Elohim, resurrection is the permanent rule for service that doesn’t pass away!